Akman Construction is located on beautiful Broadway in downtown Winnipeg. The Akman family constructed the building in the 1950's. The building was built to be 50 apartments and offices for the management and construction companies. 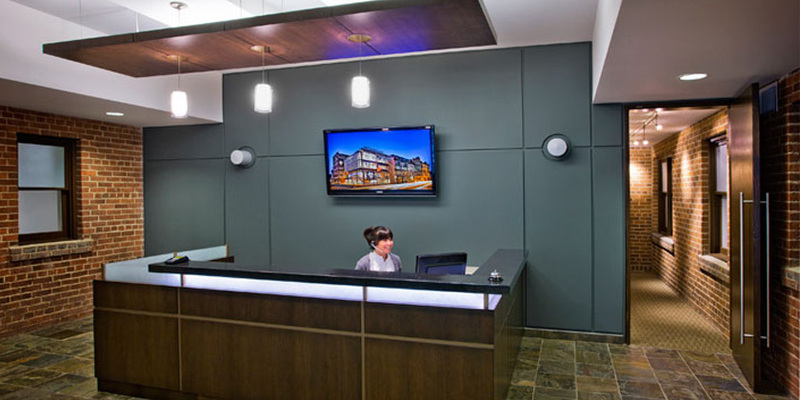 The renovation of the reception area makes more efficient use of a previously underutilized space.